My first feature Dog Park is Perrin Park, Toowong, in Brisbane’s Inner Western suburbs. 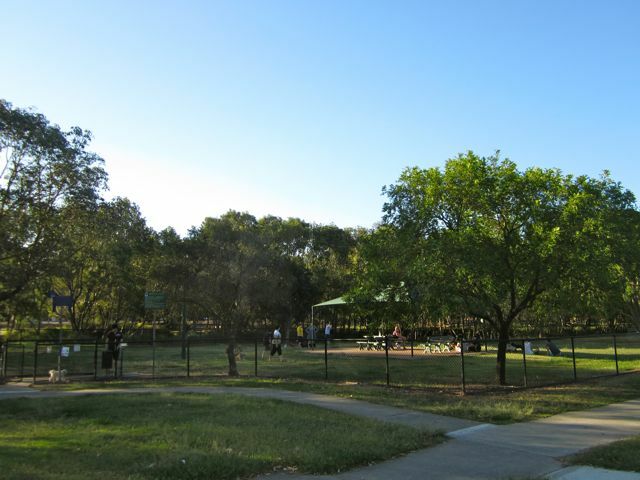 The park proper is an enormous space, primarily given over to human leisure pursuits, however the dog specific area is fully fences and spans a useful 2127metres squared, ideal for a vigorous game of fetch but not so expansive as to engulf a smaller breed. 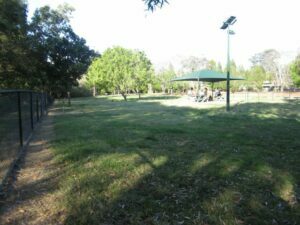 A well-sized car park runs parallel to the dog park and can be accessed by a dirt track off Heroes Rd. The main entry is double gated limiting the opportunities for a breakout. 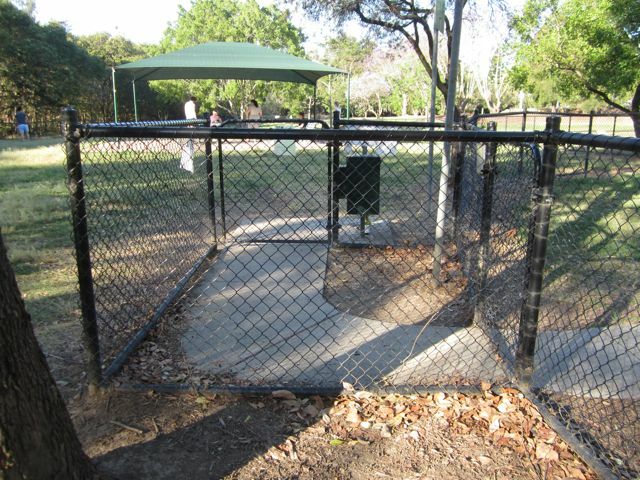 This is also where poo bags, bins and water can be found. 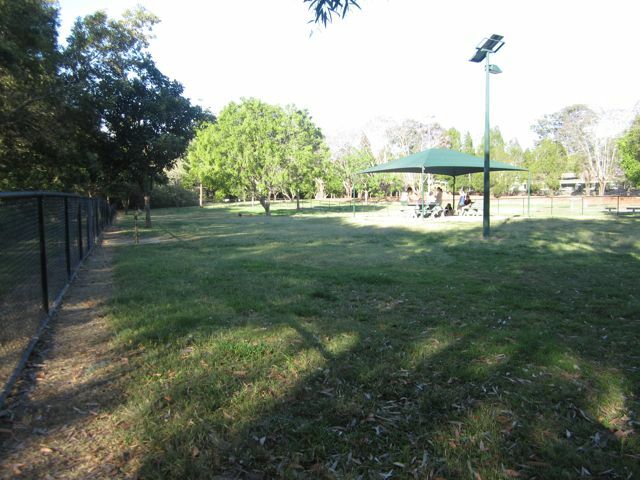 The perimeter of the park is dotted with trees and a few seats, whilst a lone shade cover with benches provides shade for owners as their dogs’ play and roam. Regulars agree that the dog park is an excellent facility, which their dogs enjoy, although they would appreciate a little extra undercover space. « Dog Walking With a Difference!